Ever witnessed fish darting away when one of theire comrades has been injured? Scientists from the Biomedical Sciences Institutes in Singapore may have proved what has always been a 'theory' - that fish smell fear. Scientists have isolated sugar molecules called chondroitins from the outer mucus of zebra fish and found that when these molecules are broken, as they might be when the fish’s skin is injured, and added to water, they prompt alarm behavior in other fish. In a sense, the fish seemed to “smell” the injury. This theory has also been tested on sharks. 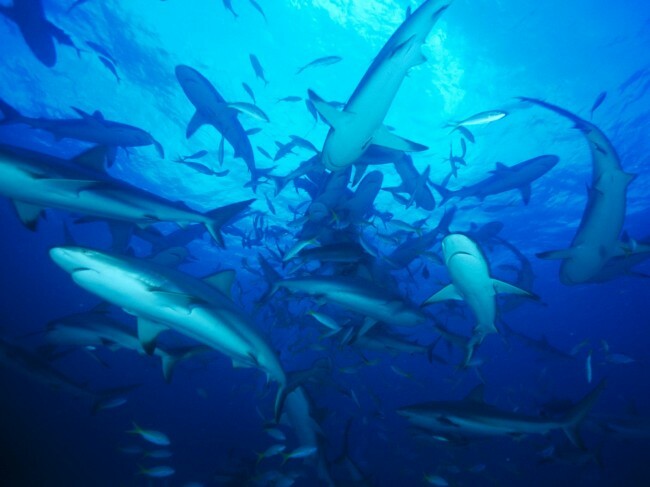 By extracting chemicals from the skin of a dead shark, forming them into a 'bomb' and throwing it into the water amongst a pack of frenzied sharks, scientists have been able to successfully repel six different shark species. The smell released from the chemical repellant switches the sharks from feeding mode to flight mode. You can see a demonstration of this in this clip. At 20 seconds, the repellant is tossed into the water and the sharks disappear. This science could be used to make long-lining more selective. By using the repellant on the tackle, commercial long-liners, who catch 2-3 sharks to every 1 target species, could eliminate the by catch.